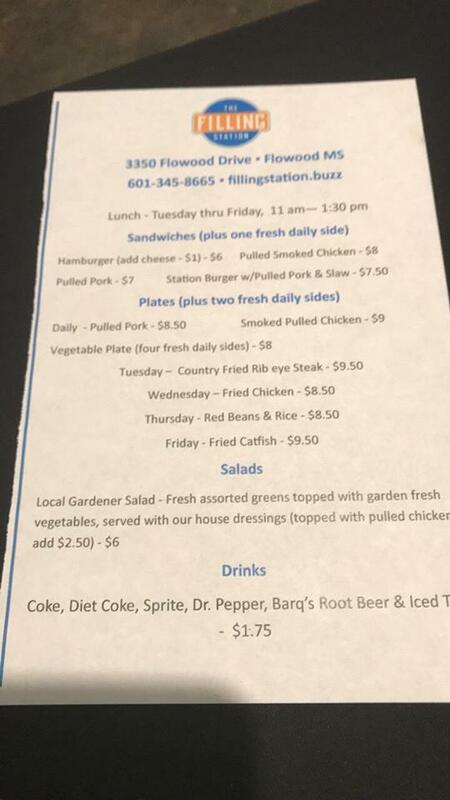 Here is the Facebook page for The Filling Station, which is the latest restaurant iteration on Flowood Drive, between Airport Road and Liberty Road. Below is a pic of their menu from the Facebook site. A trusted friend swears on the fried ribeye sandwich.